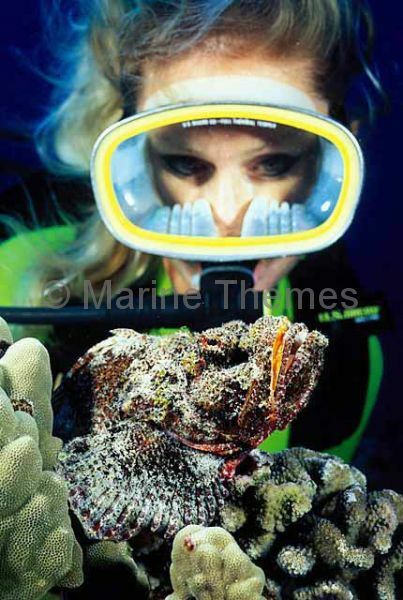 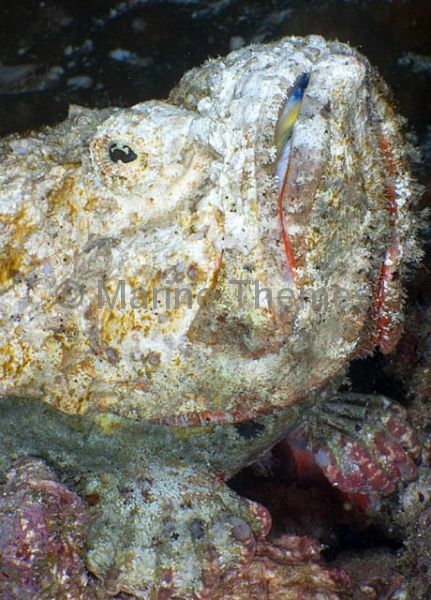 False Stonefish (Scorpaenopsis diabolus) and diver. 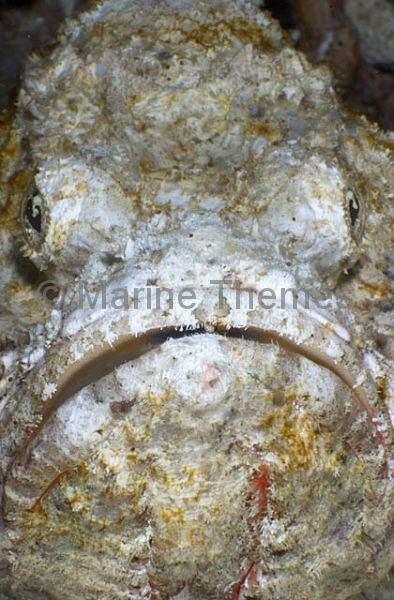 False Stonefish (Scorpaenopsis diabolus) portrait. 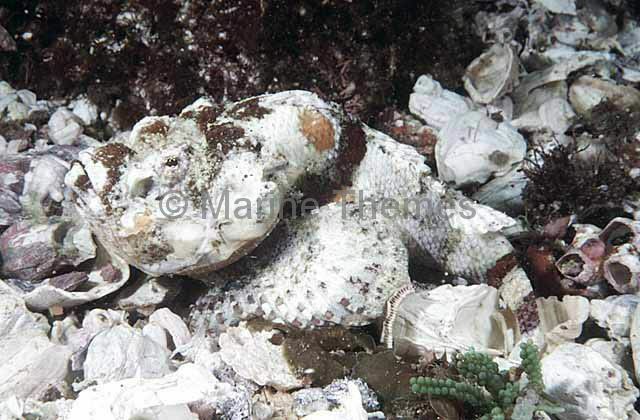 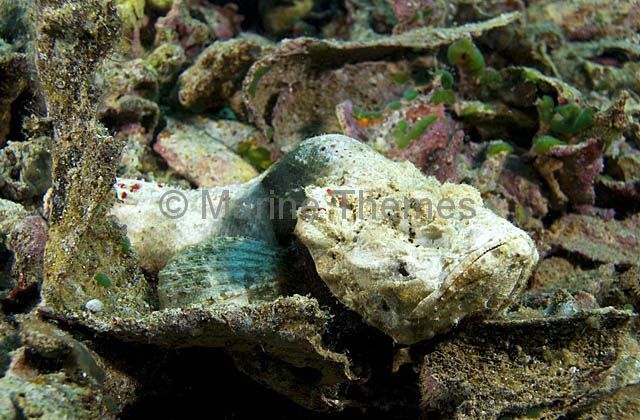 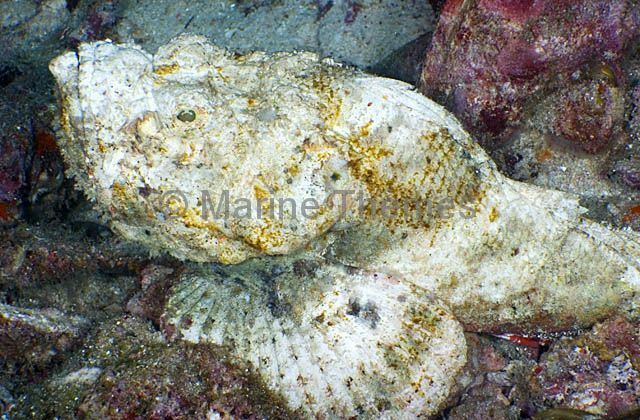 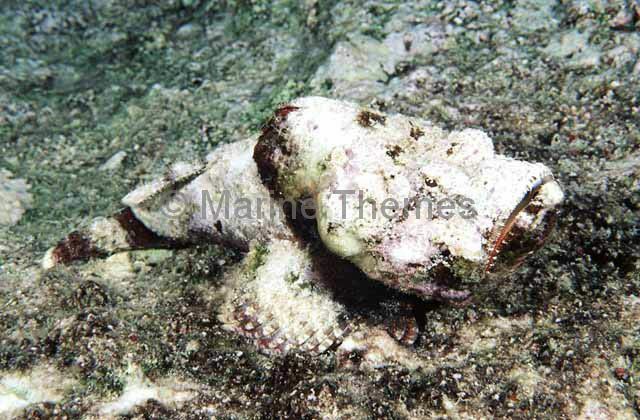 False Stonefish (Scorpaenopsis diabolus) resting among reef rubble, camouflaged to appear like a piece of dead coral. 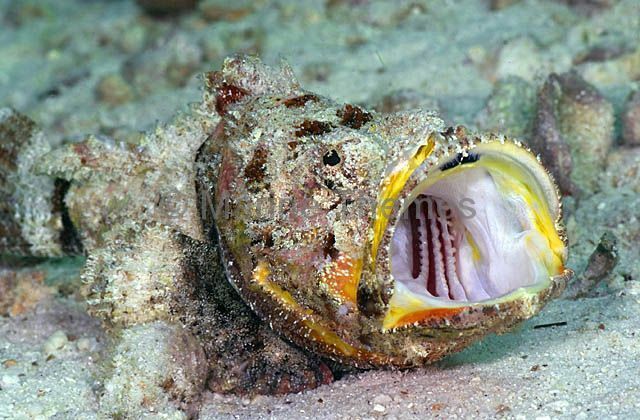 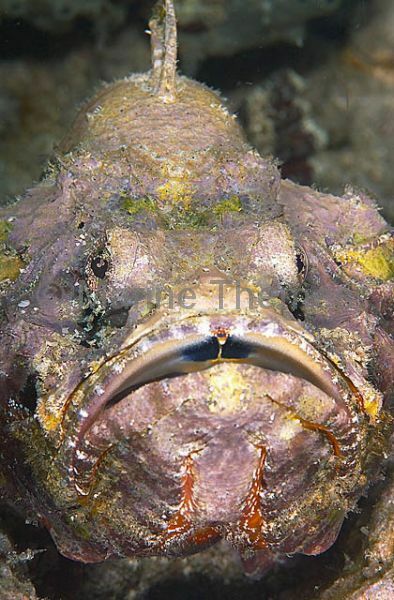 False Stonefish (Scorpaenopsis diabolus) in yawning threat posture showing internal gill rakers. 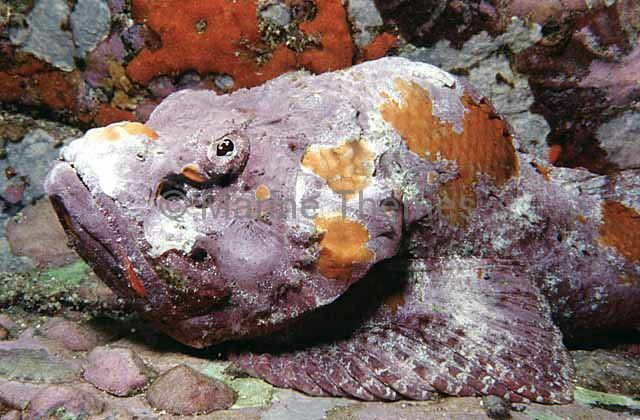 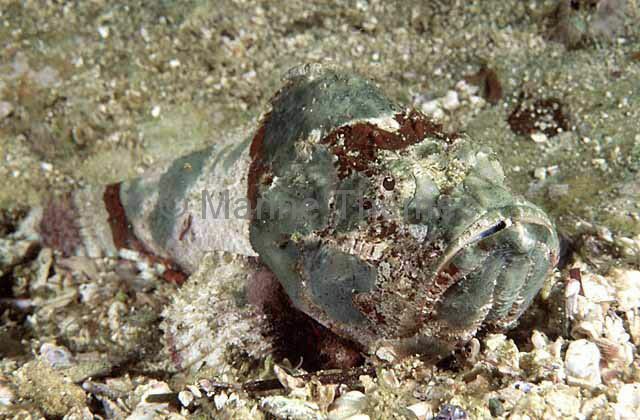 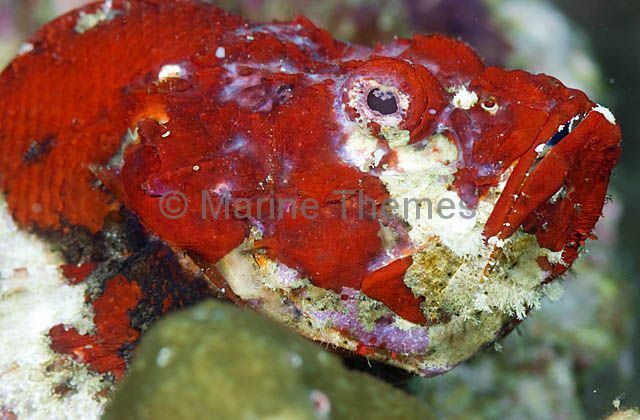 False Stonefish (Scorpaenopsis diabolus) with red colouration. 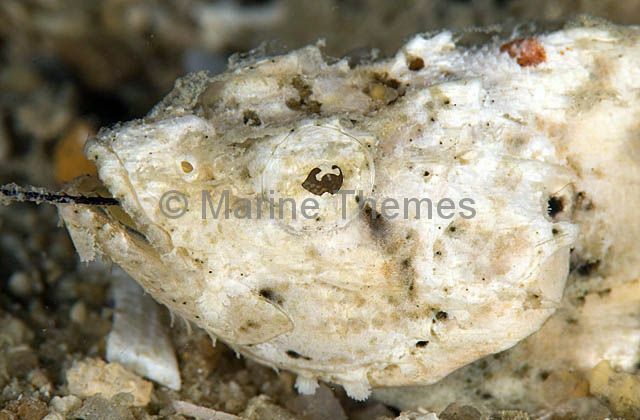 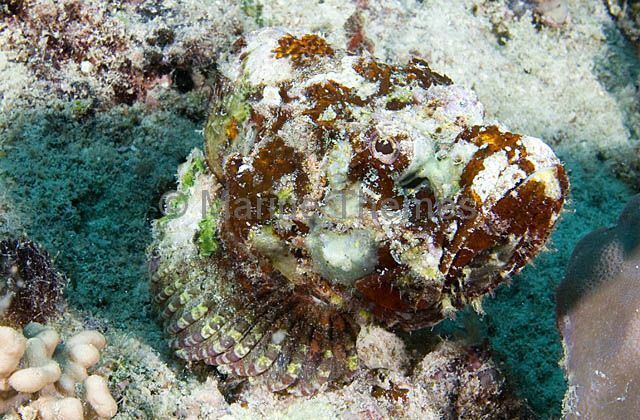 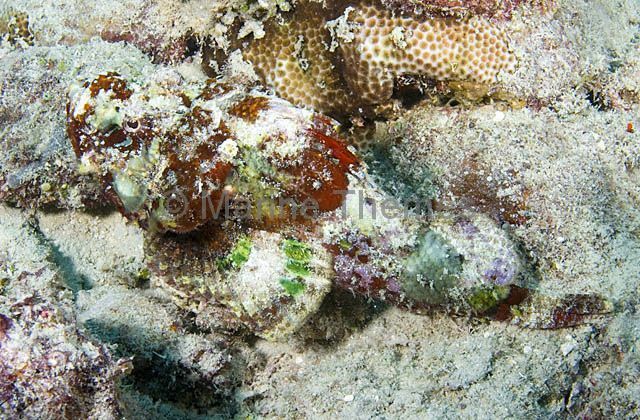 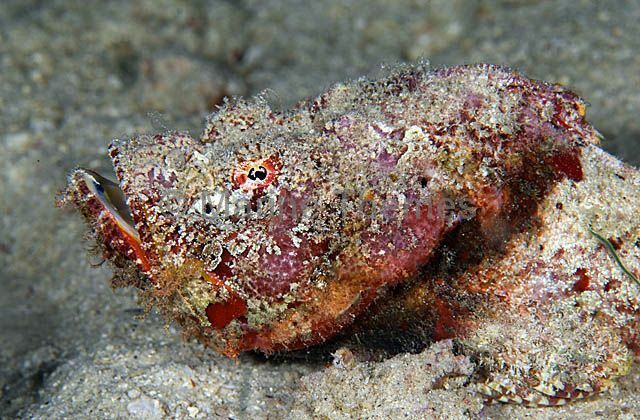 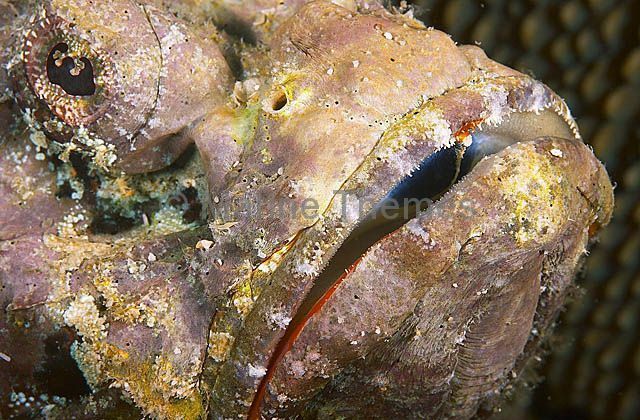 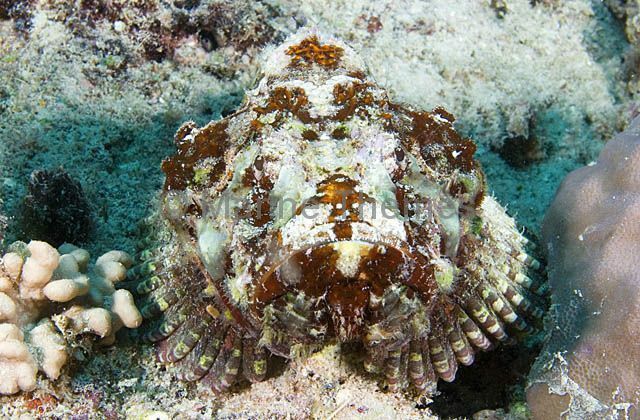 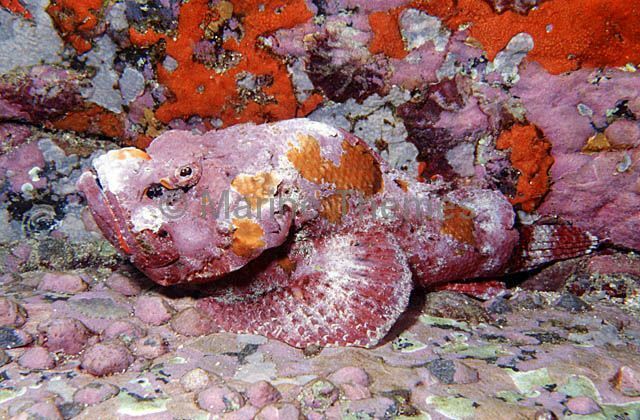 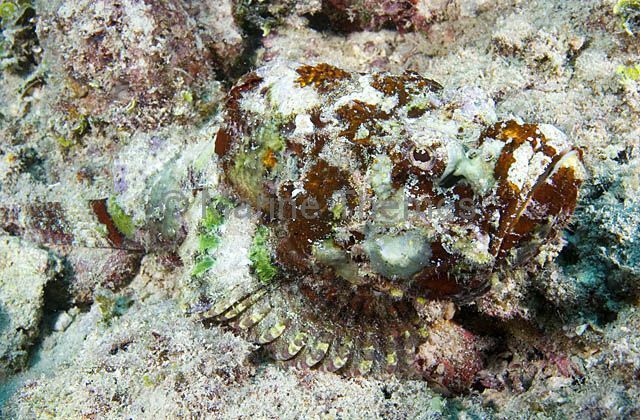 False Stonefish (Scorpaenopsis diabolus) blending into coral reef with perfect camouflage.